Love is a topic that has been spoken of a lot this week. Being married for two years I like to think that I know what love really is. But just like I thought I knew what love was on my wedding day, I know that my understanding of love as well as my love for my husband will continue to grow exponentially as we continue to struggle and overcome life’s challenges together. Yesterday I caught a glimpse of true and sacred love and it was truly an incredible experience. This last week Bob, a very dear friend of my husband’s, passed away. When my husband served his mission he met a very amazing couple who helped him teach others because they were amazing teachers. They both shared with everyone they met what they knew was true. Little did we know that after death they still had one more truth to proudly proclaim. June 17, 2015, Bob passed away and returned to his Heavenly Father after overcoming a life of physical challenges such as getting shot, falling off a building that left him partially paralyzed, and having a brain aneurysm that caused him to struggle with his short term memory for the rest of his life. That Monday, my husband and I went to his funeral to celebrate the life of this extremely positive and wonderful man. I watched his equally amazing wife, Darlene, bury the love of her life whom she had loved and served for 28 while struggling with her own physical disabilities. I could see the love and sadness in her eyes. I thought that then she was experiencing the highest form of love by loving a spouse after they have passed, but now I know that I was am wrong. That is a very high form of love but there is one that is even greater. That Monday night, hours after Bob was put to rest Darlene had a heart attack and passed away at home. Once again my husband I went to a funeral less then a week after the first funeral. My husband was lucky enough to know this incredible couple very well before they passed while I was not as fortunate. So, I was surprised that through Darlene’s funeral I just bawled because I could feel Bob and Darlene’s love for each other so strongly. 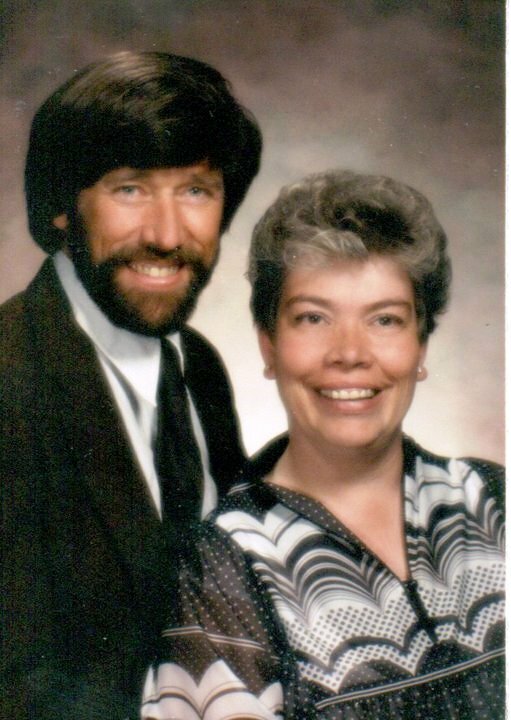 Darlene’s last act in this life was to make sure her husband was completely taken care of as she had done throughout their entire marriage, by laying him to eternal rest. Then, being unable to live without each other they were reunited for eternity. They are never going to be separated again and will both be able to fall more in love without pain and physical trials. In a time where love is something that is debated and people do not believe that people can stay in love with one person forever, Darlene and Bob taught me that true love is not only possible but something that will continue to grow beyond the grave and through eternity. I always believed that true love was loving someone even after they were gone but instead the greatest form of love is loving them after being reunited again and knowing that it will continue to grow forever. Here was two people that loved each other more then anything else and it was one of the most precious and sacred things that I have ever witnessed.